We all have that person we admire and appreciate. Though we might be aware of their flaws too as no human is perfect, they seem to radiate certain qualities that distinguish them from the crowd or every other person out there. We just want to nominate them for some personality of the year award or something. My Ideal Personality is not anyone I know but if I look around I know people who have some of those traits listed. 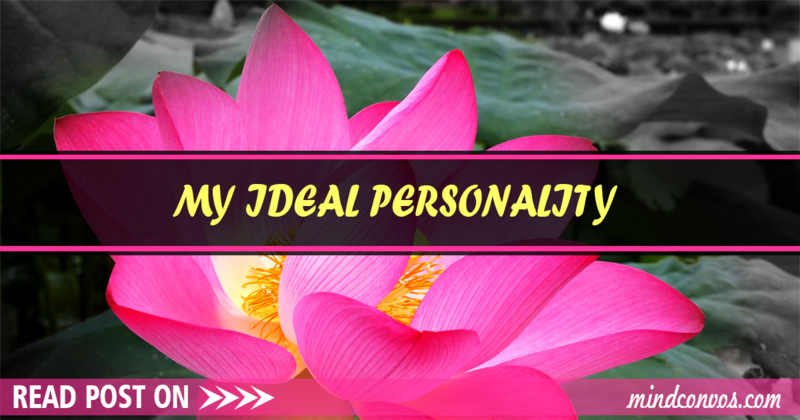 My ideal personality is someone I aspire to be. Maybe I’m already some of those, maybe I’m struggling with some of those but then my ideal personality is a compilation of traits which I admire most in others and also which I align my personal growth goals around.